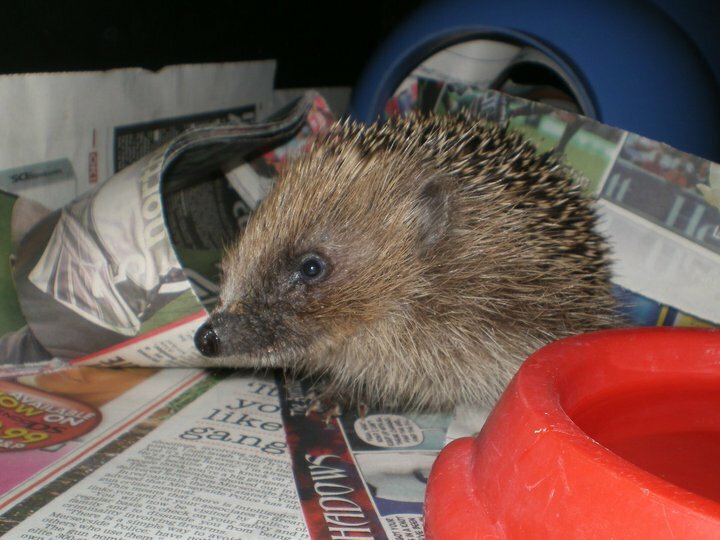 Hiya, just to let you know that Snuffles (the little Hedgehog referred to Beds Wildlife Rescue by you) went off to pre-release last night at his new release site weighing 608g! Thanks for the first aid tips you gave the finder as this probably went a long way to making our job much, much easier! The little hedgehog is fine, alert and has now eaten, although he seems to favour the dried food. I’ve named him Houdini – for the obvious reasons… the car journey to the vets was interesting.